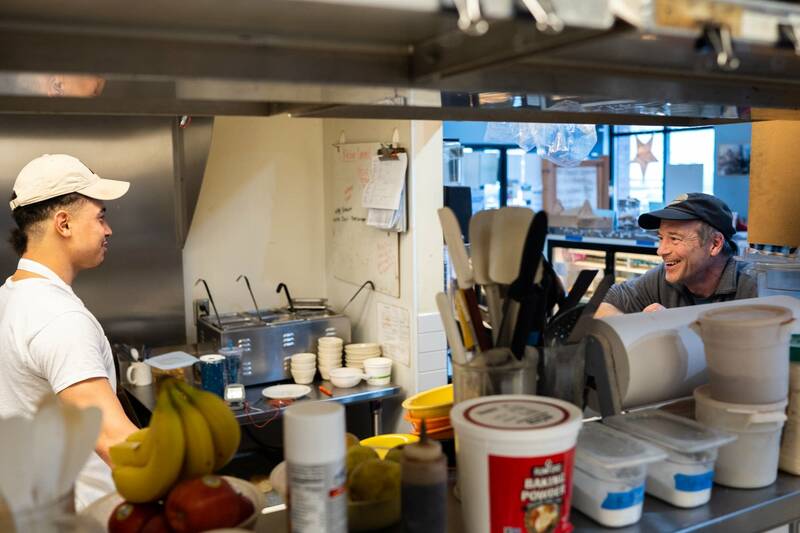 As Charles Johnson preps ingredients and fills orders at the Butter Bakery Cafe in Minneapolis, he's got a lot on his mind. The 23-year-old cook is about to become a dad. "Any day now," Johnson said during an afternoon shift last week. "I'm just anxious, excited and nervous. So I'm just keeping my head together and trying to focus on the food and get everything done." One thing he won't have to worry about is a paycheck as he gets to know his son. Johnson's boss is giving him three weeks off — with pay — despite the fact the restaurant has no formal paid family leave policy and the owner said he's proceeding on a case-by-case basis. Johnson said he couldn't imagine being gone if it meant foregoing pay. His situation and others like it are the impetus behind a proposal in front of the Legislature to guarantee several weeks of paid leave for any worker upon the birth or adoption of a child or to care for a seriously ill family member. Backers say the stability it offers shouldn't depend on where a person works. Major business groups oppose the plan, saying this type of benefit is spreading on its own as companies compete for talent in a tight labor market. They argue a state-run leave system would cause too many scheduling complications, cost them and employees too much and implement a benefit structure that is more rigid than they can work out on their own. "This is a very expansive program," said Laura Bordelon, senior vice president of advocacy for the Minnesota Chamber of Commerce. "Our feeling is that employers know best how to offer these type of benefits to their employees, to attract employees, to retain employees and to compete in the marketplace." While the Minnesota Chamber of Commerce and the Minnesota Business Partnership — the organizations most visibly lobbying against the paid-leave proposal — tend to carry heft around the Capitol, there are other business interests offering a competing view. 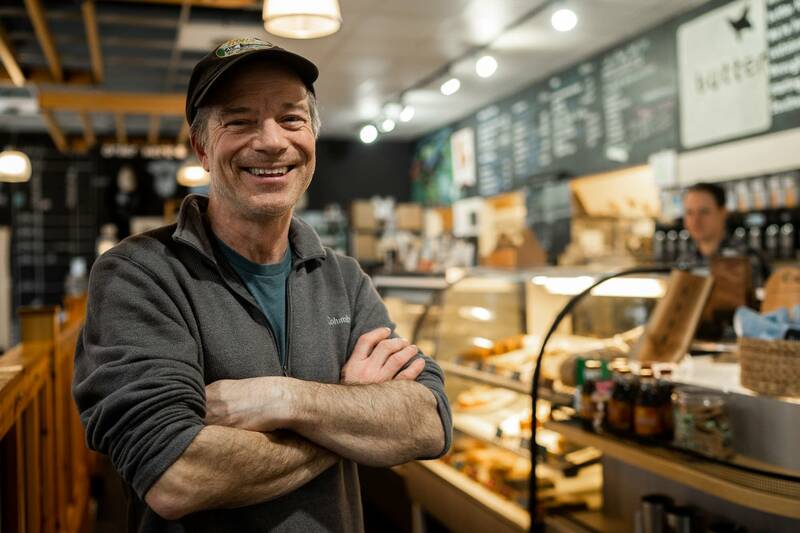 The Main Street Alliance of Minnesota, a network of small business owners and left-of-center coalition partners, is making the case that a statewide leave policy would level the playing field in the hunt for employees. They say they're often priced out of privately offered plans. Alliance member Daniel Swenson-Klatt, who owns the Butter Bakery Cafe, wishes he could set up and afford a leave policy for his 18 employees. Last year, he had a baker who had saved up a week worth of paid time off when his child was born. Swenson-Klatt gave him two more. This time, he's footing the full tab for cook Johnson, the father-in-waiting. "Because I don't want him to stress out about not getting paid. I don't want him to stress out about staying home," Swenson-Klatt said. "I want him to feel like he's available to be there with his child and have good time there with him." 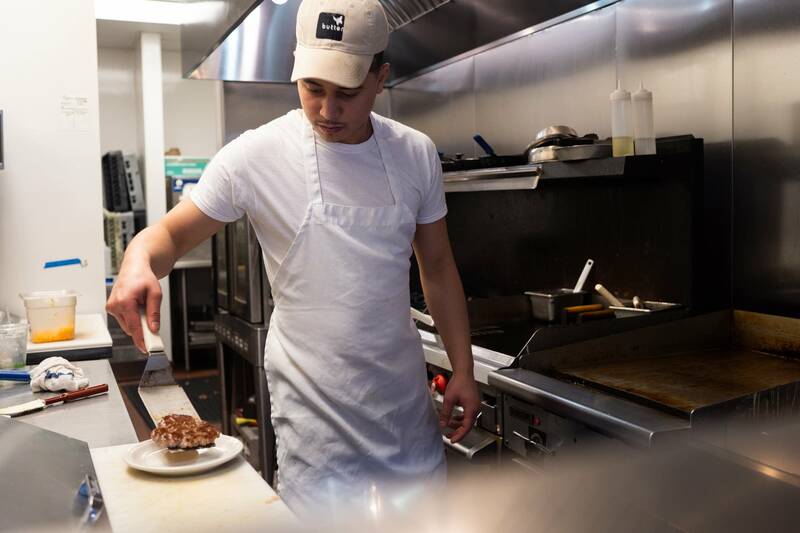 At the cafe, where made-from-scratch biscuit sandwiches and eclairs are the popular menu items, Swenson-Klatt will pick up some of Johnson's shifts in the kitchen. Coworkers will too. But Swenson-Klatt figures it'll amount to more than $1,500 out of his pocket, though — less than he would anticipate paying into a leave account for all of his employees if the legislation establishing the system gets through. Until then, he said he'll have to judge employee circumstances as they come along before deciding on granting paid leave. "As generous as we'd love to be, as responsible as I like saying I am, it gets frustrating to feel like I'm taking all the weight," Swenson-Klatt said. "I'd prefer to share it." The bill to spread the load is steaming ahead in the Minnesota House, having been through four committees already and due for another round of deliberations Tuesday night. The measure has evolved along the way, so some key features still aren't definitively set. The basic outline is this: All employers and their employees would have to kick money into a state-administered fund — that would operate similar to worker's comp — to cover a portion of wages when someone qualifies for time off. The amount that person could expect to recoup depends on their earnings in relation to the state's weekly average wage, with lower-paid workers eligible for 90 percent pay replacement while those up in income ladder in line for about half their normal salary. The leave for a single occurrence would be up to 12 weeks in a year; it wouldn't have to be consecutive. But someone could qualify for a second 12 weeks if they have a second emergency that meets a set of standards. Employees would be guaranteed a return to their equivalent position when a leave ends. The leave could be granted in response to a new child, a serious illness or an active-duty military family member being deployed. 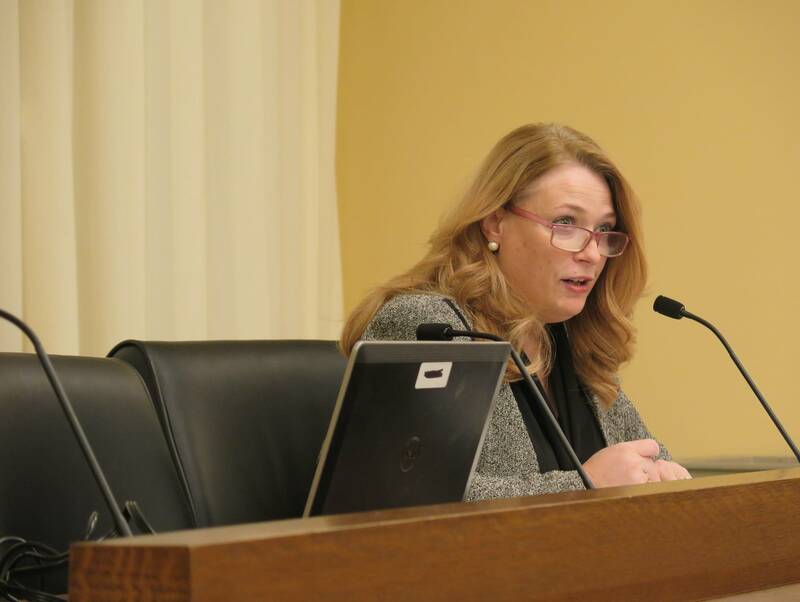 "We have heard many times from smaller employers who are looking for this kind of option in order to compete in the workplace," said its chief sponsor, Rep. Laurie Halverson, DFL-Eagan. Republican Senate Majority Leader Paul Gazelka of Nisswa said he's listening to employers, too, and has a different takeaway. Gazelka said a forced buy-in isn't the way to go. It explains why a companion bill to Halverson's hasn't moved in inch in the Senate. "If there's a solution that is more of a carrot, it rewards people for doing it like employee participation plans, then there's some openness," Gazelka said. "But I don't think another mandate on our businesses across the board is going to be the direction we should go." 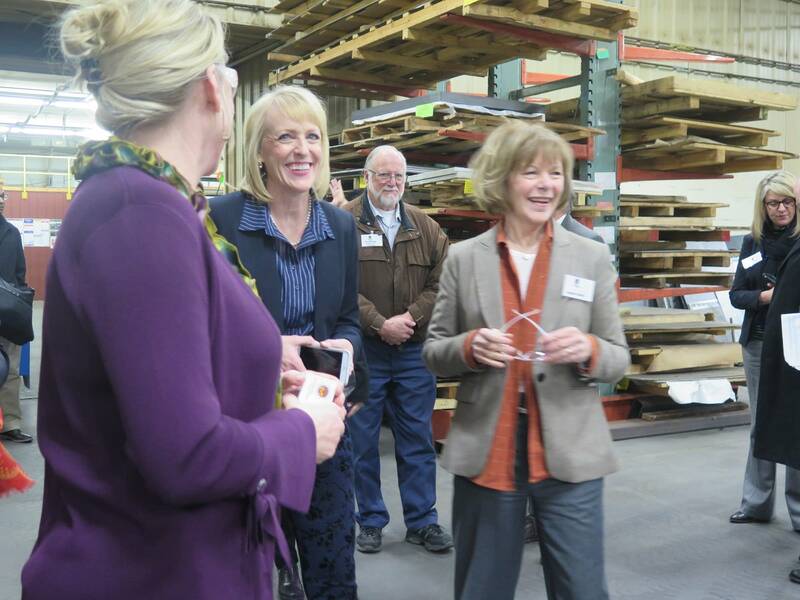 That puts Gazelka in line with Traci Tapani, the co-president of Wyoming Machine Co. in Stacy. She employs about 50 people, most of whom are in skilled positions at a factory that makes sheet metal components for other industrial companies. Tapani sees the House plan as a one-size-fits-all program that doesn't fit her business. "We have an above-average number of females working in a manufacturing environment here at Wyoming Machine," Tapani said. "I've never had an employee take time off for the birth of a child. I haven't had a man ask to do that." She said the plan is especially worrisome in manufacturing, given an acute need for technical workers that is growing as the Baby Boomers retire. Tapani said temporarily replacing employees on an extended leave wouldn't be easy. Statistics kept by the Department of Employment and Economic Development underscore the graying and male-dominated nature of manufacturing. Between 2004 and 2017, the percentage of workers in that industry older than 45 rose from about 39 percent to just above 49 percent. The state's workforce as a whole changed more gradually. Seven in 10 factory workers are men, a share that has held pretty steady; for all industries, the female-to-male split is roughly even, according to the state data. For employees with other medical or family care needs, Tapani said the company makes accommodations. That can be a mix of paid or unpaid time off, or managers allow workers to adjust their schedule. "As an employer I get to decide how I'm going to adjust the benefits that are made available based on the employment market and what people need," she said. The yet-determined assessments on businesses and paycheck deductions for workers to support the program wouldn't go over well, she suspects. "I know that if my employees end up having to pay a tax on their paychecks in order to have to cover the cost of some of that, they are not going to be happy," Tapani said. Under the bill, small employers could qualify for grants to help cover the cost of fill-in workers. And companies that already offer a private paid leave plan on par with the state standards could apply to opt out and avoid the assessments. Back at the cafe, Johnson said he can't wait to bond with his first child without risking his livelihood. He's touched that Swenson-Klatt "has my back." "It really made me feel way more comfortable," Johnson said, adding, "It's hard to survive without having a job. Really can't do it."